The former Bank of Victoria is a single storey rendered brick building located at on the corner of Martin and Cox Streets, some 100 metres west of the centre of Penshurst. The former bank of Victoria was the first bank opened in Penshurst, in 1869, the architect and contractor are unknown. The bank is a typical example of highly restrained Victorian classicism, using the Italian palazzo form because of its association with the origin of modern banking in Florence. The building has suffered few alterations, and is in good condition. There is a timber manager's residence at the rear of the property which dates from the 1860s. This appears to be in good condition also. 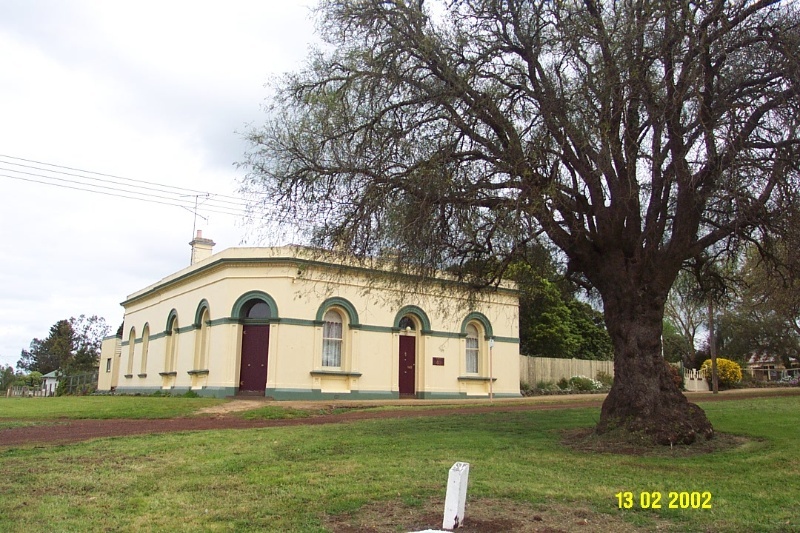 The former Bank of Victoria is of architectural and historical significance to the township of Penshurst and the Southern Grampians Shire. The bank is of architectural significance as an example of the application of the restrained classical style in banks. The architecture, being conservative and classical, presented an image of security and stability to its customers. The former Bank of Victoria is of historical significance as one of the major financial institutions which serviced the township for over 130 years. The former Bank of Victoria survives reasonably intact, and is in good condition. The former Bank of Victoria is a single storey building, effectively symmetrical about the corner entrance, built of rendered brick (or bluestone?). The facade uses an arcuated system of simulated structure. The parapet is very plain behind which there is low pitched hipped corrugated iron roof.